Tutti gli avviatori Powerlite sono la sostituzione diretta per unità originali e non richiedono modifiche al veicolo su cui sono installati, che lavorano sia per la polarità positiva e negativa. Rolls Royce Camargue 1975 - 1985. 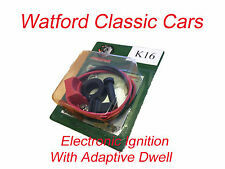 ROLLS ROYCE SILVER DAWN CLOUD 1, S1, BENTLEY R TYPE, MK 6 IGNITION KIT. DELCO TWIN. Red to positive on coil, black to negative on coil. 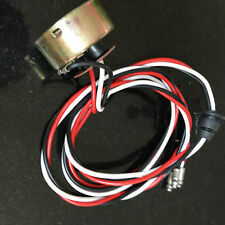 Works best with a standard 12 Volt coil Sports Coil. POSITIVE EARTH. 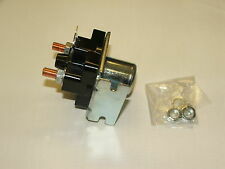 A quality reproduction solenoid. Lucas numbers were: SRB335 & 76771. ROLLS-ROYCE PHANTOM 6.75 6749 03/2003> 460 338 N73B68A. IL PRODOTTO E' COMPATIBILE PER I SEGUENTI VEICOLI. DELCO TWIN. 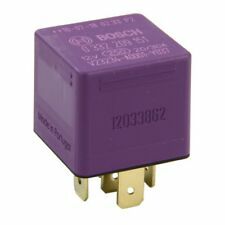 Works best with a standard 12 Volt coil Sports Coil. Once fitted is there are no moving parts so should last the life of the car. Model: ROLLS ROYCE PHANTOM. A new window will open with the models and variants of each model. 4off new Fuses early Rolls-Royce. Part Number:9279642. Das Spenderfahrzeug war ein Rolls Royce Ghost RR4 (EWB, Baujahr 2013) mit einer Laufleistung von lediglich 19.429 km. Kein Unfallfahrzeug. Rolls Royce RR4 (Ghost). BMW F01 F02 F06 F07 F10 F30 F33 u.v.m. 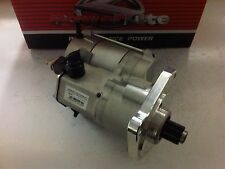 LOT DE 4 BobineS d'allumage pour bmw. Lot de 4 Bobines d'allumage neuve pour BMW. Voir tableau de compatibilité véhicules pour plus de précisions. BMW série Z3 coupé (E36). BMW série X5 (E53, E70). BMW série X3 (E83). NUBE DI ROLLS-ROYCE SILVER DAWN 1, S1, BENTLEY R TYPE, KIT ACCENSIONE MK 6. DELCO DOPPIA. 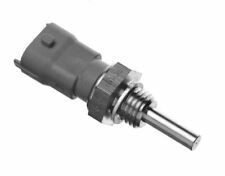 Subtype Electronic Ignition. Classic Car Part Yes. Una scintilla migliore significa migliore esecuzione, maggiore potenza e maggiore MPG. SILVER SPUR / SPIRIT & BENTLEY MULSANNE. SILVER SPUR & BENTLEY. ROLLS ROYCE & BENTLEY. USED ROLLS ROYCE & BENTLEY. WIPER SWITCH. BENTLEY S1, S2 & ROLLS ROYCE CLOUD II, III con 6230cc V8 1960-1966 con cambio a 4 velocità. Tutti gli avviatori Powerlite sono la sostituzione diretta per unità originali e non richiedono modifiche al veicolo su cui sono installati, che lavorano sia per la polarità positiva e negativa. Part Number:9281720. Rolls Royce RR4 (Ghost). BMW F10, F11, F18. You are interested in other high-quality car parts?. Part Number:9281720. Spenderfahrzeug:Rolls Royce Ghost RR4. Rolls Royce RR4 (Ghost). BMW F10, F11, F18. You are interested in other high-quality car parts?. ROLLS Royce Silver Shadow, Silver Spirit, Bentley Elettrico Del Sedile Interruttore. 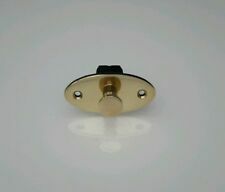 A used electric seat switch to fit Rolls Royce Silver Shadow,Silver Spirit and Bentley variants. Part Number: 9257150. Sie interessieren sich für weitere hochwertige VW - Audi Teile?. viele verschiedene BMW/Rolls Royce Modelle. many different BMW/Rolls Royce vehicles. You are interested in other high-quality car parts?. ROLLS ROYCE PHANTOM VII 6749cc V12 berlina, Coupé, CABRIOLET anni 2002-2013. Reference OE/OEM Number 12417536691 12417525294 12417610352. Reference OE/OEM Number 12417610347 12414457944 12417610647. Reference OE/OEM Number 12417515785 12417537491 12417537514. Manufacturer Part Number UD18361. Bentley Rolls Royce Wiper centralina. Bentley originale / Rolls Royce parte. Unit Type Unit. Unit Quantity 1. Rolls-Royce 20HP magneto Watford RO1. This was refurbished many years ago and never used to complete the project car. ROLLS-ROYCE PHANTOM Drophead Coupe 6.75 V12 6749 06/2007> 460 338 N73B68A. IL PRODOTTO E' COMPATIBILE PER I SEGUENTI VEICOLI. ROLLS-ROYCE PHANTOM VII Coupé (RR3) 6.75 V12 6749 01/2007> 460 338 N73 B68 A. Flangia-Ø 76 mm. IL PRODOTTO E' COMPATIBILE PER I SEGUENTI VEICOLI. Pezzo nuovo. NUBE DI ROLLS-ROYCE SILVER DAWN 1, S1, BENTLEY R TYPE, KIT ACCENSIONE MK 6. DELCO DOPPIA. Classic Car Part Yes. Una scintilla migliore significa migliore esecuzione, maggiore potenza e maggiore MPG. Commutazione veloce produce una scintilla affidabile con nessuna tempistica o sosta deriva attraverso la gamma intera rev. Part Number: 9389657. Spenderfahrzeug:Rolls Royce Dawn RR6. Sie interessieren sich für weitere hochwertige VW - Audi Teile?. viele verschiedene BMW/Rolls Royce Modelle. fits:many different BMW/Rolls Royce vehicles. Part Number: 9309408. Sie interessieren sich für weitere hochwertige VW - Audi Teile?. viele verschiedene BMW/Rolls Royce Modelle. many different BMW/Rolls Royce vehicles. Wenn Sie sich nicht sicher sind bzgl. Voir tableau de compatibilité véhicules pour plus de précisions. BMW série Z8 (E52). BMW série Z4 (E85, E86). BMW série Z3 coupé (E36). BMW série X5 (E53, E70). BMW série X3 (E83). BMW série X1 (E84). Part Number:2218394. Rolls Royce RR1 (Phantom). Sie interessieren sich für weitere hochwertige VW - Audi Teile?. You are interested in other high-quality car parts?. ROLLS ROYCE & BENTLEY. USED ROLLS ROYCE & BENTLEY. FROM A SILVER SPRIRIT. Spenderfahrzeug:Rolls Royce Phantom Coupe RR3. Rolls Royce Phantom Coupe RR3 (ab MJ 2012). fits:Rolls Royce Phantom Coupe RR3 (from MY 2012 up). Wenn Sie sich nicht sicher sind bzgl. Sie interessieren sich für weitere hochwertige VW - Audi Teile?. Silver Cloud I & II. Dip Switch. Slightly different to the original as it doesn't have the circular tin cover. Floor Mounted. It should not be altered / tampered with/used. Supersedes:~ Lucas 34790. ROLLS-ROYCE PHANTOM Coupé 6.75 V12 6749 09/2008> 460 338 N73B68A. IL PRODOTTO E' COMPATIBILE PER I SEGUENTI VEICOLI.